You’ll be playing the Yamaha YPG635 in under 3 minutes from the moment you open the box. You’ll be playing the Yamaha YPG635 in under 3 minutes from the moment you open the box, set it up, turn it on and click to the built in 6-track sequencer with pre-recorded songs. Tickle those ivory’s and experience a well designed keyboard that has the power of a full band at your finger tips. INSTRUMENTS. Just imagine a keyboard designed to give you a great selection of authentic sounding instruments so convincingly real you’ll have a hard time keeping away from this keyboard. The more you play the more you’ll have a hard time of letting it go. LCD DISPLAY. The YPG 625 also has a LCD display, it is used for the display of the lyrics as well as the notations and the LCD even comes with a backlight. It comes with the style of Yamaha and has a voice technology. It can be connected to other USB storage devices as it has USB connectivity. SONGS. The songs which you compose are stored in the YPG 625 and the screen displays the lyrics of those songs which are XF compatible. 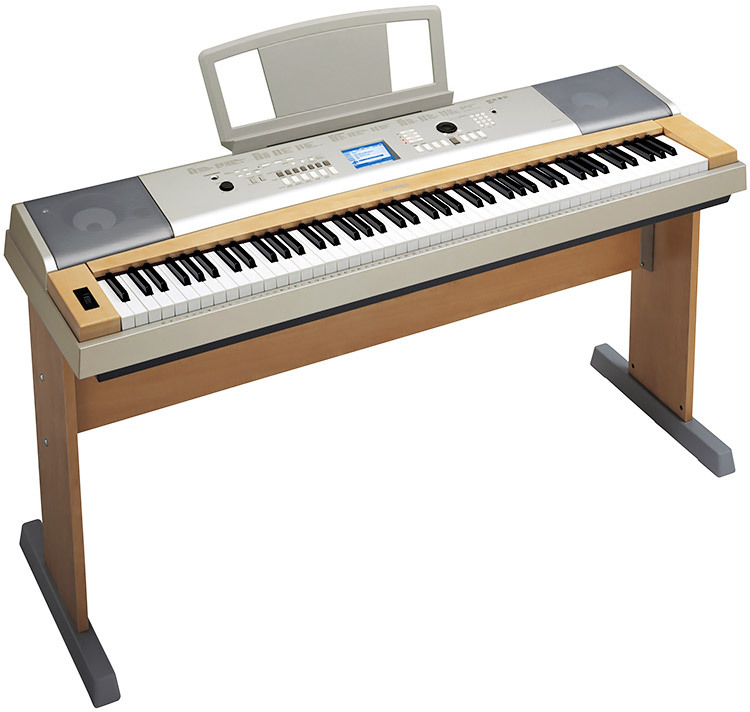 This keyboard has as many as 30 built in songs and there are even 70 more songs in the CD-ROM, this is the education suite that is provided with this keyboard. It also comes with a wooden stand which will help you to place the keyboard at the right height. Refined piano touch means you’re always in control of each note – make your song sound the way you want it to. Portable so you can take it anywhere you want – take it to the camp, cottage — you’ll never bet without your keyboard.